Attending two quilt shows in the latter part of 2014, going to Austin MQG meetings, and meeting with my Art Quilt Bee has been INSPIRATION OVERLOAD. I have never been more excited about sewing and quilting. My goal this year is to get the ideas out of my head and onto paper, onto the design wall, onto the sewing machine (or onto my hand-quilting hoop! ), and completed. Each month, I’m going to be sharing my projects throughout all their many stages. I think it will be fun to see the progression from start to finish! 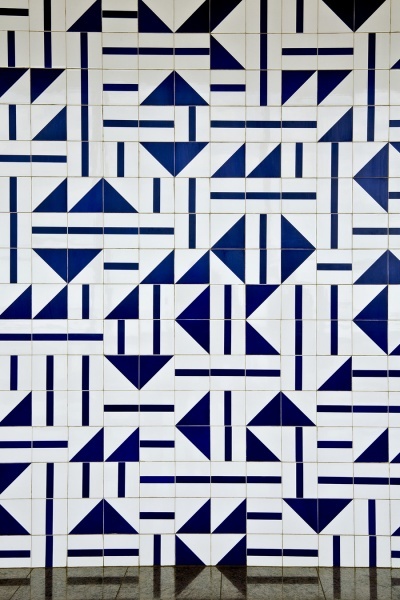 Feeling super inspired by tile, especially this simple and modern pattern I saw on Pinterest. Follow my quilt inspiration board here! 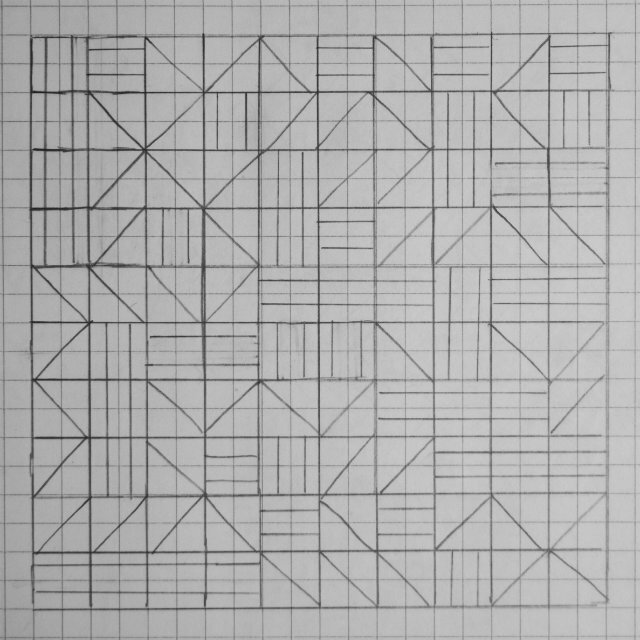 My take on the tile design. I think this could be an amazing quilt, with bold, contrasting solids. 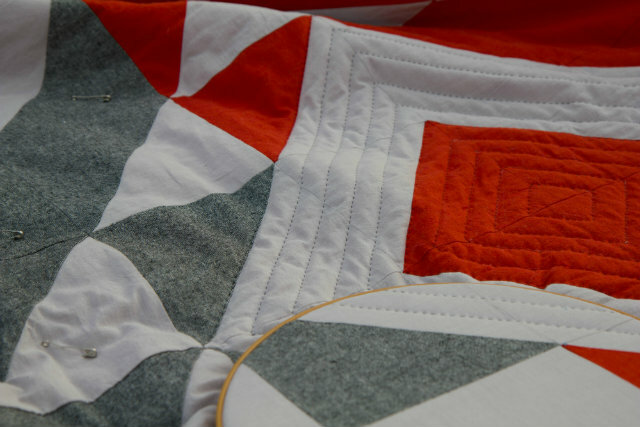 I’m also playing with the idea of hexagons, inspired by this quilt by Modern Handcraft. 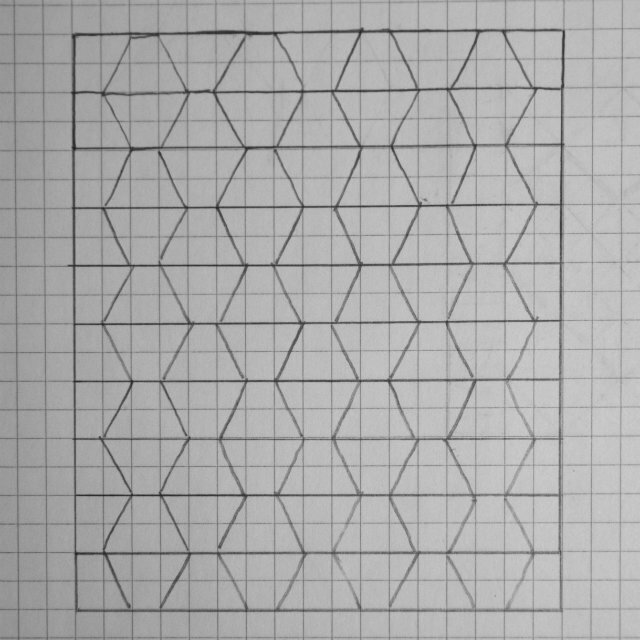 I like the idea of stretching the hexagons and elongating them a bit. I just bought a bundle of Carolyn Friedlander’s new fabric line, Doe, and I think it will be the perfect thing to try out the hexagons with! Cutting into this shot cotton bundle to make a baby quilt. 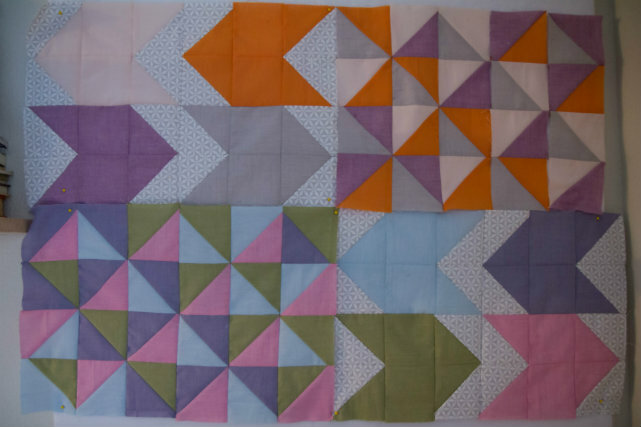 I came up with an easy arrow pattern, mixed with colorful half-square triangles. John’s quilt. I love this soooo much and I can’t wait until it’s finished. I’m hand quilting with black thread. I’m just following the diamond shape of the blocks and seeing where that takes me. Slowly but surely making progress! 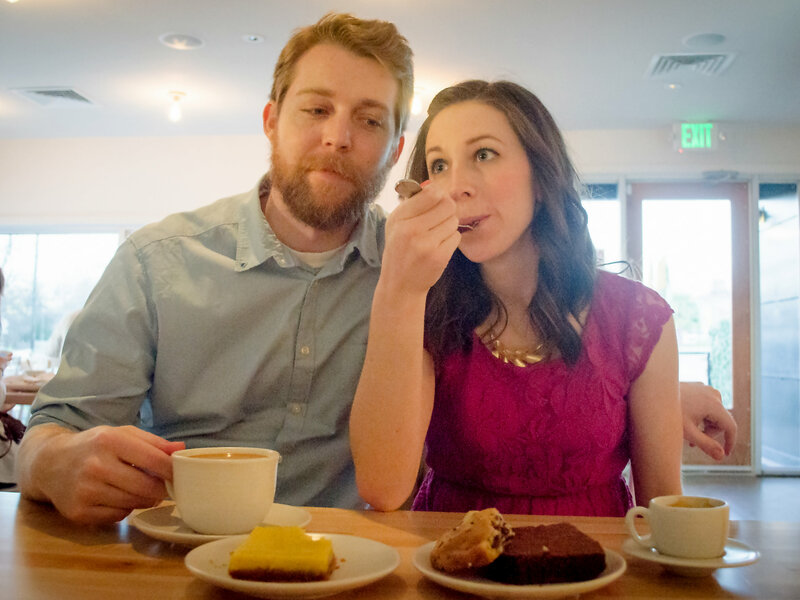 I technically haven’t completed a project yet in 2015….boo! 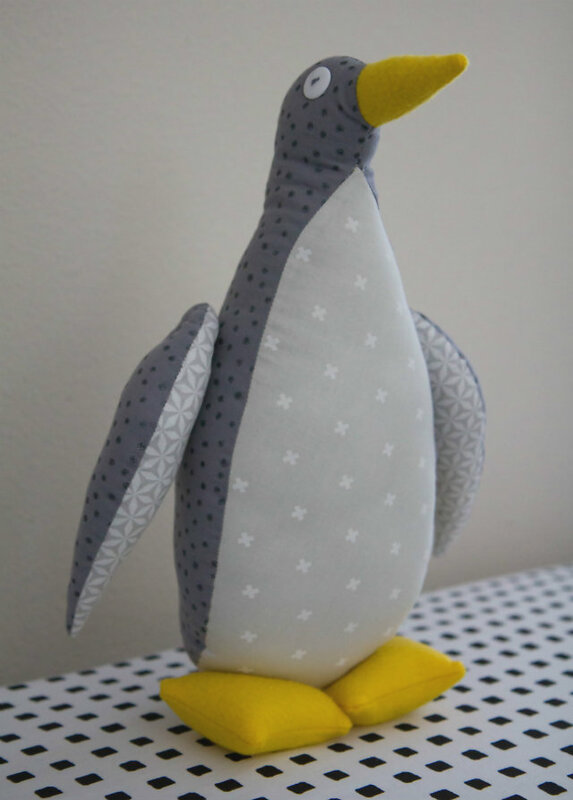 So instead I’ll show you these penguins I made as gifts in December. So cute I can’t even stand it. One for my nephew, and one for a friend’s baby shower. 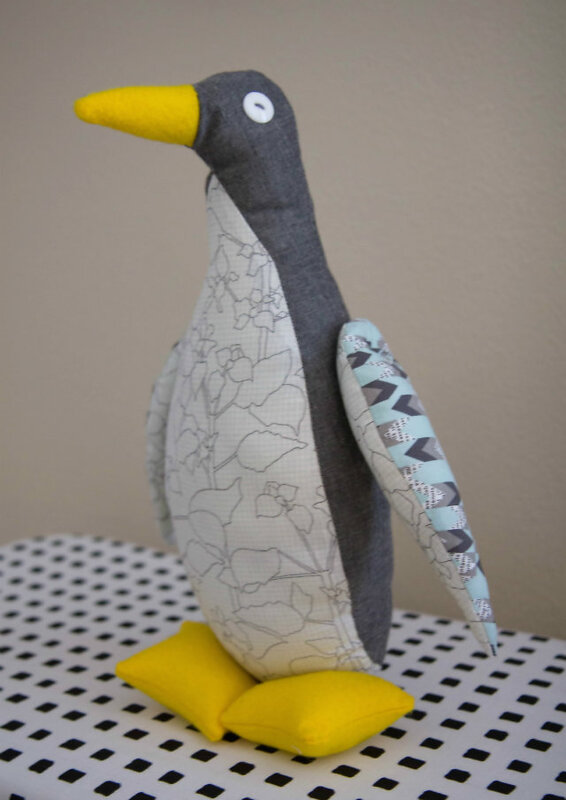 Make your own with this great tutorial by Purl Bee! What are you working on? Any inspiring fabric or images you’ve seen lately?